Pallet Cage Industries, based in Canning Vale Perth, maintain large stocks of Pallet Cages to serve a range of industries including Distribution, Manufacturing, Mining, Oil & Gas, Construction & Transport organisations. 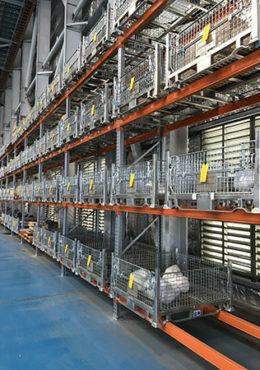 Pallet Cage Industries is committed to Supplying Quality Products at Competitive Prices and in a Realistic Time Frame. Our friendly sales team is dedicated to providing each customer with the best service possible to ensure our customers get exactly what they have asked for. Each item is individually checked before it leaves our warehouse. Each item is individually labelled with a product code, Type & phone number to allow easy identification for re-ordering.